Home/Knowledge Base/Web Hosting/How to download large files via File Manager? Learn how to download large files via File Manager in cPanel by following the instructions below. Step 4. Select the files or folder. Step 5. Click Compress located at the top menu of the File Manager page. Step 6. 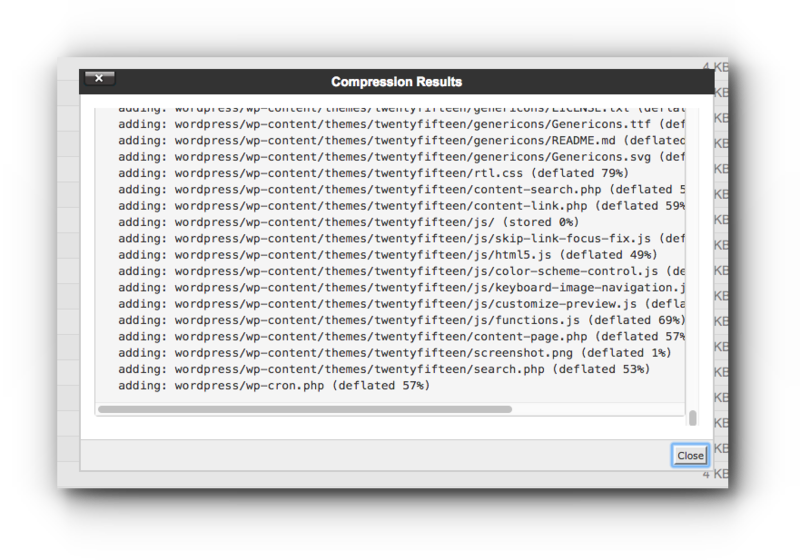 Select the compression type, enter the name of the compressed archive and click Compress File(s) button. Step 7. Wait for the compression to finish. Once you see the results, click Close button. Step 8. Locate and select the compressed file. Step 9. Click Download button. The file is now saved in your computer’s local drive.